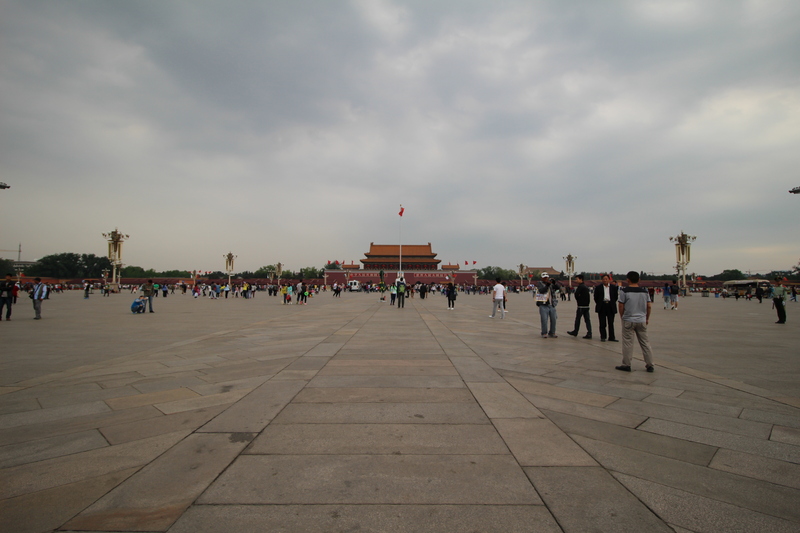 I remember the first time I visited Tiananmen Square, I thought the big open space combined with the coldness of the concrete was uninviting and uninteresting. But this time around, I think I’ve changed my mind. While it may not be the most aesthetically pleasing place you’ll ever see, the square holds much cultural significance for China’s past and present. 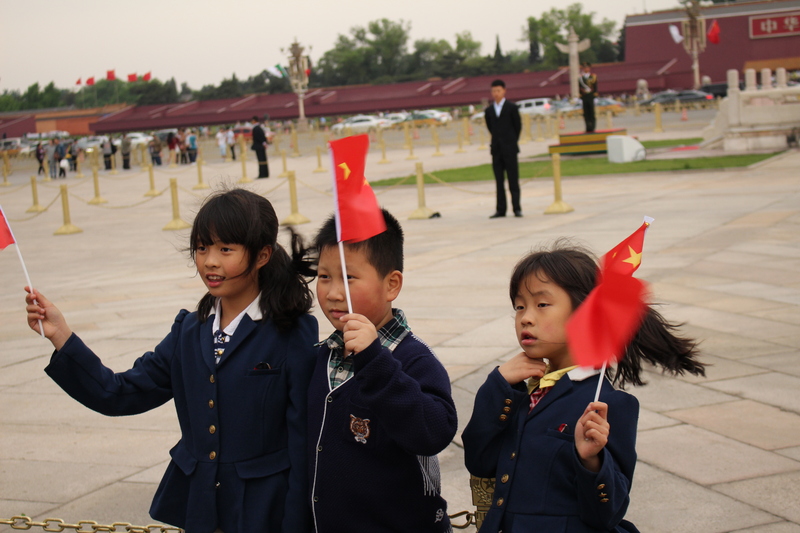 As the fourth largest city square in the world, Tiananmen Square has been the gathering place for many famous and infamous events in China’s history, from national parades to student protests. On the square as well as the surrounding perimeter, there are also many important cultural sites of interest (Forbidden City and Mao’s Mausoleum, to name a few), definitely making it a place you have to visit, or at least pass through, while sightseeing in Beijing. 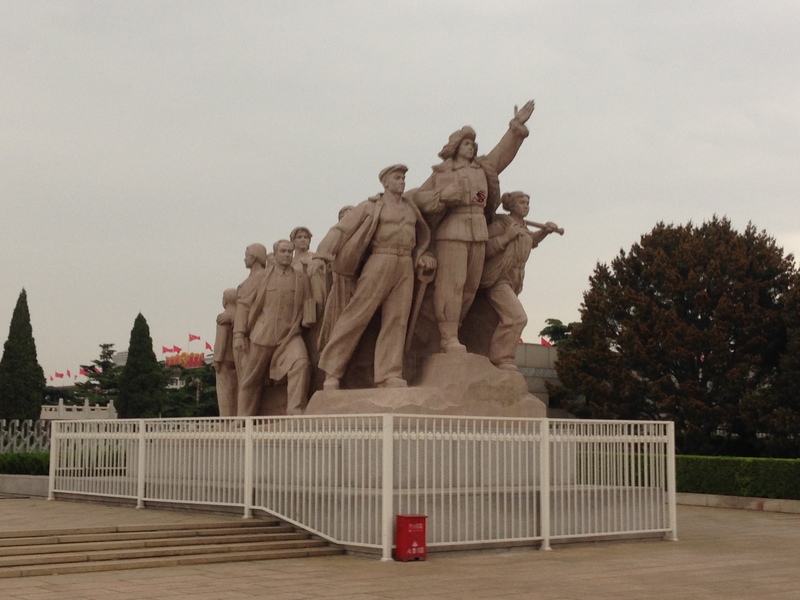 Simon and I waited until early evening to see Tiananmen so as to avoid most of the tour groups. Although there were plenty of people at the square, the vast space made it feel less crowded. I felt so small standing in the middle of the square, and can only imagine what it is like when the place is filled with people to watch a parade on a special occasion. We weren’t there for very long before an ominous rainstorm caught us off guard. The extremely windy weather that had been whipping my hair around my face and kept the red flags in the square waving in full force soon gave way to a heavy downpour. Within minutes, everyone scattered to the far corners of the square like ants, scrambling to find any and every possible shelter. 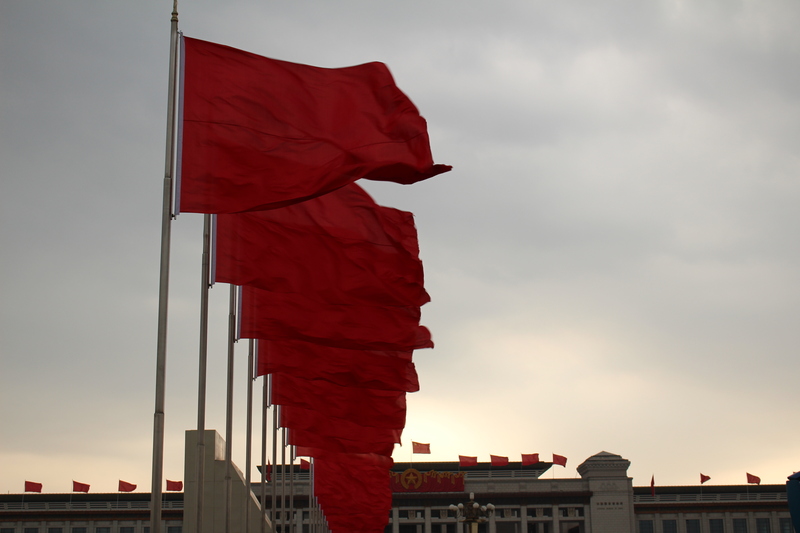 Luckily, we were able to capture a few moments at Tiananmen Square before the storm.